In December of 2014, I graduated from California State University, Sacramento with a Bachelor's of Science degree in Mechanical Engineering, and earning a 3.6 GPA. Sacramento State is an ABET accredited institution. Before transferring to Sacramento State, I attended Sierra Community College and earned Associate of Science degrees (with honors) in both Mechatronics and Natural Science. During the Spring 2014 semester I became a member of the Tau Beta Pi - Upsilon Chapter at Sacramento State. 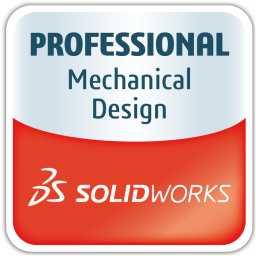 In the spring of 2014, with 4 years of SolidWorks experience, I passed the Certified SolidWorks Professional exam (CSWP). In March of 2011 I was hired at JR3, Inc. as a paid student intern to operate SolidWorks. This internship has given me invaluable work experience that I have also been able to apply to my degree studies. Upon graduation, JR3 kept me on as a full employee with increased hours and a promotion. My responsibilities were increased to include product parts list support, website design and some basic software support. During the summer of 2014 as part of my degree coursework I conducted an independent study sponsored by both CSUS and JR3. This independent study allowed me to learn a CAM system (HSMxpress) and to evaluate its potential as a manufacturing tool for JR3.